D.B. 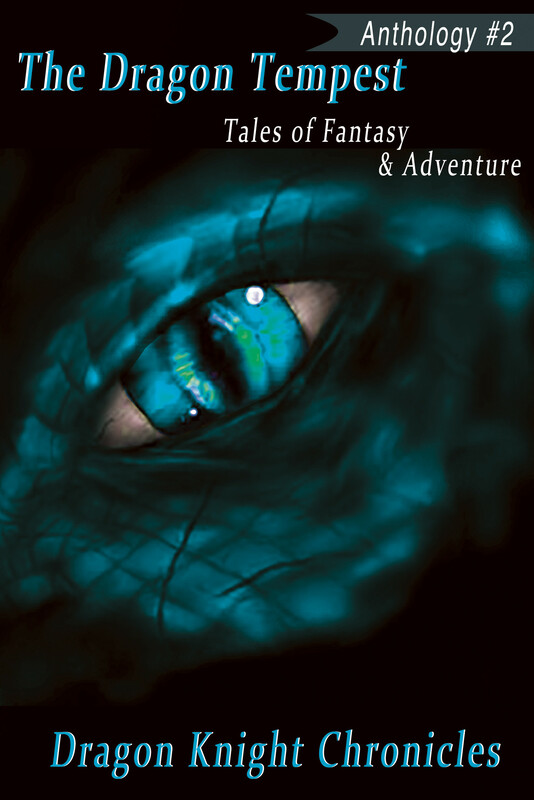 Mauldin has two short stories published in The Dragon Tempest. “You say the sylphs are perishing? Well, I am not surprised. The air is nearly pure poison. How many sylphs are left?” he asked. “I’m really not sure, Paracelsus. I have been receiving the sad news of their perishing for some time now,” Tiina, Queen of the sylphs replied sadly. “Have you been in contact with any of the other elementals?” Paracelsus asked. “Only the salamanders. They need us to fuel their fires, which pollute the air more, making it harder and harder to breathe. They threaten to fry us if we do not help them,” Tiina sobbed. “I’m going to talk with the salamanders now. See how many sylphs you can round up and keep in one place. I will be back to talk with all of you,” said Paracelsus. Tiina drifted off into the air and Paracelsus set off toward the south to search for the salamanders. It didn’t take him long. He had already spotted the smoke from their fires before he talked with Tiina. Paracelsus, being a ghost, could walk right through the fire without harm. As he neared the center of the forest fire, Paracelsus saw Taino, Prince of the Salamanders, and some of his friends torturing a gnome who was trying to escape the tree in which he had been hiding. Taino’s face appeared twisted with wrath, as he and his friends licked their lava tongues toward the cowering gnome. The group’s perverse laughter echoed in the forest. “Why should we care? We are having the time of our lives,” Taino replied. The concert had been great. Aine and Dorrian made their way backstage to try to get a glimpse of the band members. Aine had fallen ‘head over heels in love with the band’s bass guitar player, Iarl Fitzgerald. Dorrian rolled her eyes at Aine. She was always falling ‘head over heels’ in love with somebody. “There he is!” exclaimed Aine. She grabbed Dorrian’s arm and started leading her in Iarl’s direction. As if he had heard her, Iarl looked up, right at Aine. Their eyes locked and Iarl walked toward Aine, meeting her halfway. Aine let go of Dorrian’s arm as she reached out to shake hands with Iarl. Iarl smiled. Aine’s heart did a flip-flop; his smile made him even more gorgeous. He had a serious face, very cute, but serious. His shoulder-length, blonde curls framed his gorgeous face. His dark-green eyes were deep-set, giving him the overall appearance of a man who did not smile or laugh easily. Still holding Aine’s hand in his, he turned and led them to his dressing room. There were other people bustling about and Dorrian joined them. Iarl sat Aine down in a chair next to his. He turned to look at her, and spoke for the first time. Mother Earth had awoken Paracelsus. “Paracelsus, I beg of you to arise from your resting place. I desperately need your help,” she had said. Paracelsus did as Mother Earth asked. He stood looking around the devastation, wondering where to start. “The four elemental forces are going to have to work together to clean up this mess,” Paracelsus muttered to himself. Thanks so much for sharing with us, Debra! Sounds very exciting, indeed. Something for everyone, and personally, I LOVE dragons! Very versatile creatures. It’s nice to see them really beginning to show up these days in Urban Fantasy, as well as the “regular” kinds. Keep us posted on what’s new!